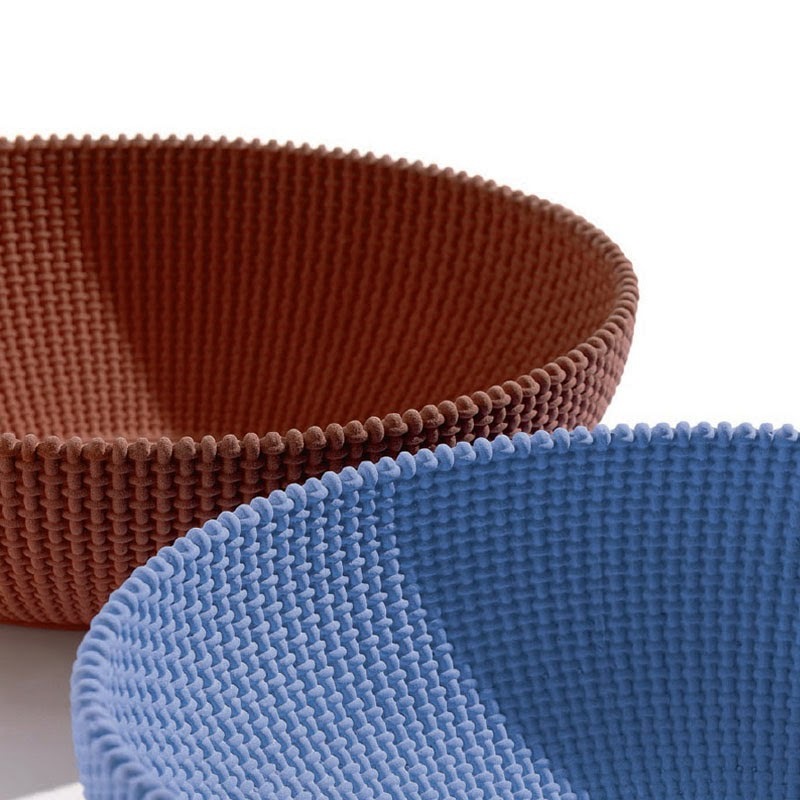 This new Alessi basket has the stylistic approach Alessi is known for. This gorgeous fruitbasket calls to mind a modern interpretation of a natural knotted design, yet it is entirely made of concrete and mortar. New by Alessi, it is a definite collector's item. Available in blue or red. Alessi "La Trama e l'Ordito" Fruit Bowl by LPWK. Centerpiece in mortar i.design Effix®, red or blue. Featuring a modern design that's both attractive and chic.